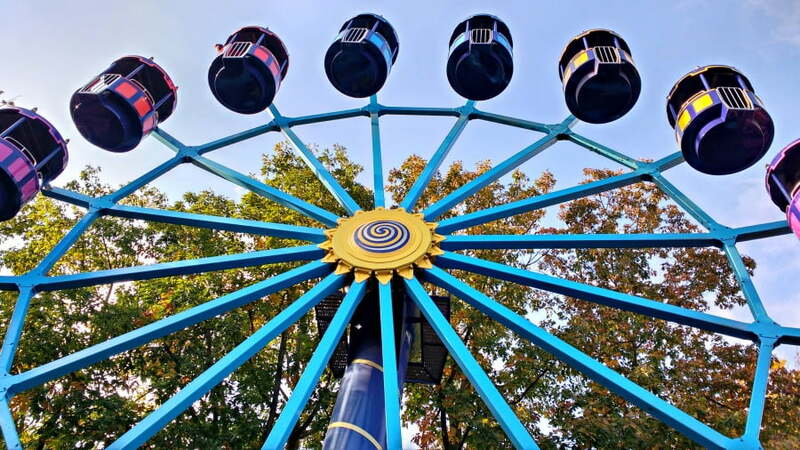 Duinrell is a holiday park in The Netherlands, with an onsite theme park and onsite water park. I’ve written this review of Duinrell, but today I want to talk about all the things to do around Duinrell with a toddler. Hopefully this will be useful for anyone who is considering visiting Duinrell, or for families who have already booked and wondering what there is to do around Duinrell with toddlers. A ‘typical’ day for us at Duinrell was to spend a morning at the theme park or water park followed by an afternoon sightseeing. We loved spending time at Duinrell, but we also loved exploring The Netherlands too, and Duinrell is a great base to do that. The Netherlands is quite a small country so you can get pretty much anywhere quickly. 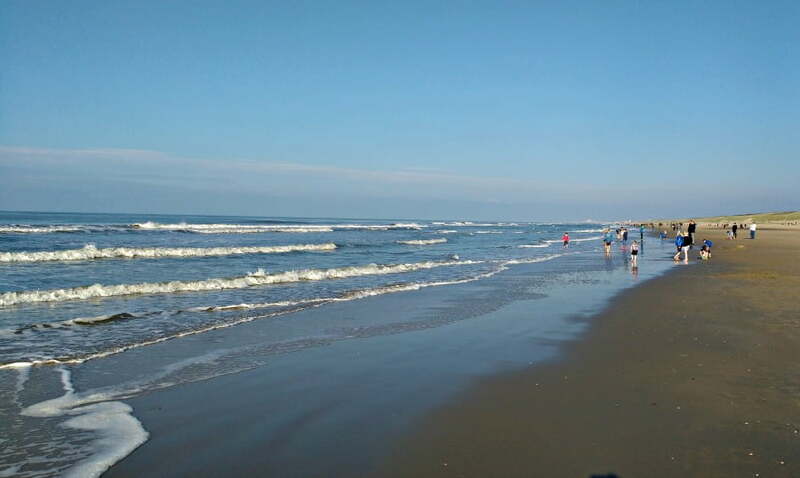 The closest beach to Duinrell is at Waasanaar and is just 4km away from Duinrell. Like most places in The Netherlands, it is easily accessible by bike. The beach is long and sandy, and you can see the skyline of The Hague in the distance. There are a few ice cream shops, restaurants, and it is backed by large sand dunes which characterise this area of The Netherlands. 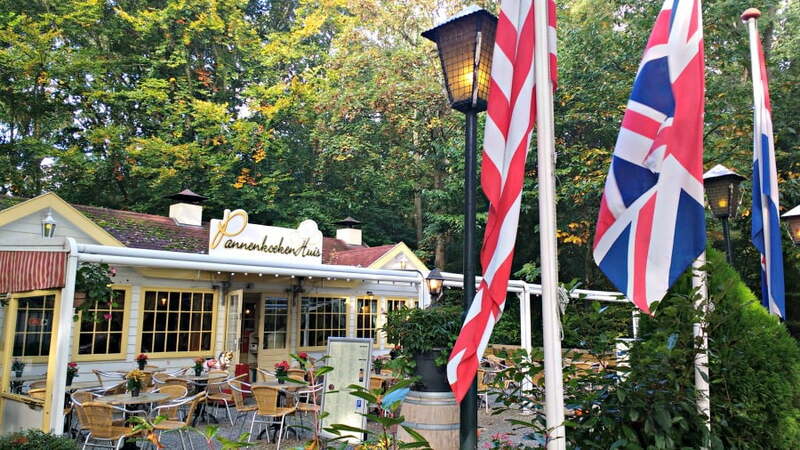 The Dutch are pancake mad, and everywhere you go you will see a Pannenkoeken Huis (Pancake House). Savoury pancakes are served as well as sweet ones, and you can quite easily eat pancakes every meal time if you want to. There is a Pannenkoeken Huis just outside the main entrance to Duinrell and this is where we went after arriving at Duinrell. Kids pancakes are available for about 4 Euros and adult pancakes range from between 8 – 11 Euros. 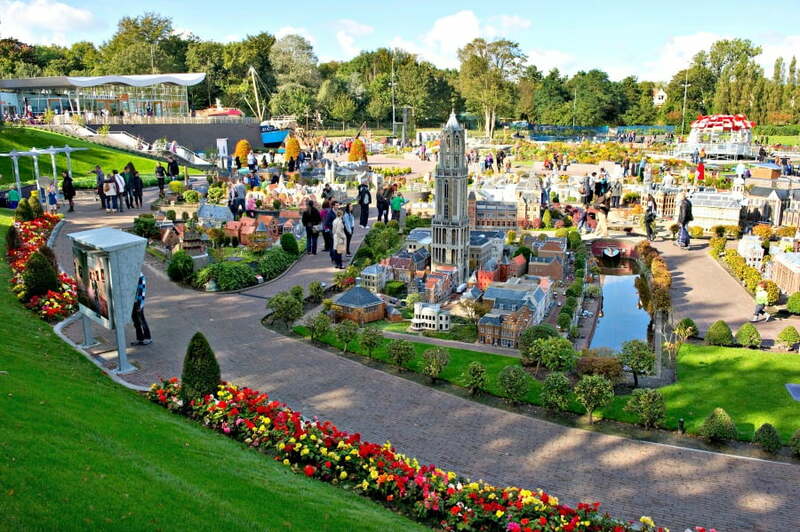 Madurodam is a miniature park about 6 miles away from Duinrell. The park is the home to a replica Holland on a scale of 1:25, including a mini Amsterdam Airport, mini Rotterdam and of course mini windmills and tulips! Toddlers will love it! 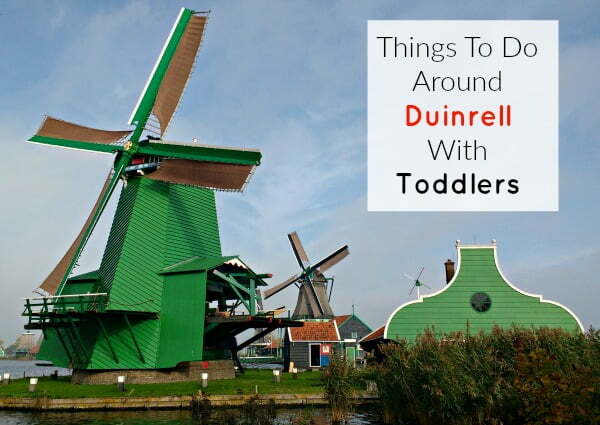 There is loads for toddlers to do in Amsterdam, and Duinrell is only a 40 minute drive away from the Park and Ride which will get you into the city. 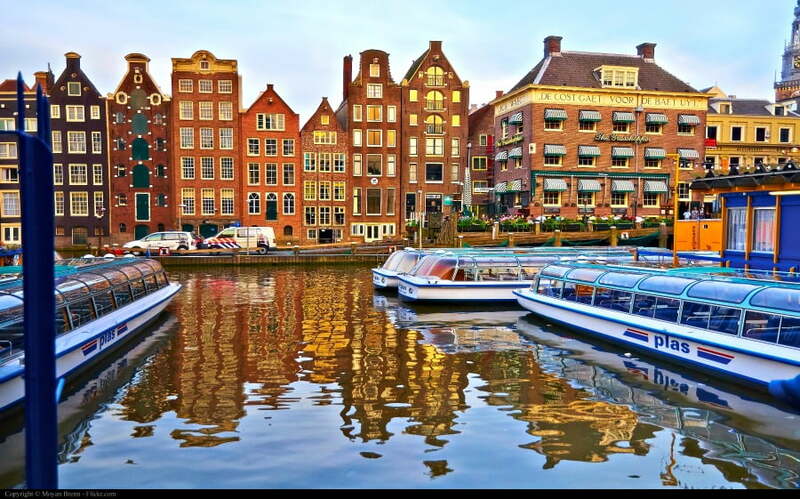 Start with a canal boat tour ride around the city to get your bearings – you can take a traditional tour or the Pancake Boat which will take you on a 75 minute tour of Amsterdam whilst feeding you pancakes. If you don’t want to take a formal canal tour, you can take the hop on hop off Canal Bus which will take you past the Rijksmuseum museum and the Anne Frank House. There are 8 stops so you can get on and off whenever you want. Vondelpark is Amsterdam’s famous city park, and has 6 play areas, 1 large playground and a paddling pool which is open in the summer. Bikes are available to hire if you want to explore the whole park. Other toddler friendly attractions in Amsterdam include the The Artis Royal Zoo, The Amsterdam National Maritime Museum, and the famous Rijksmuseum which has family guided tours and activities. 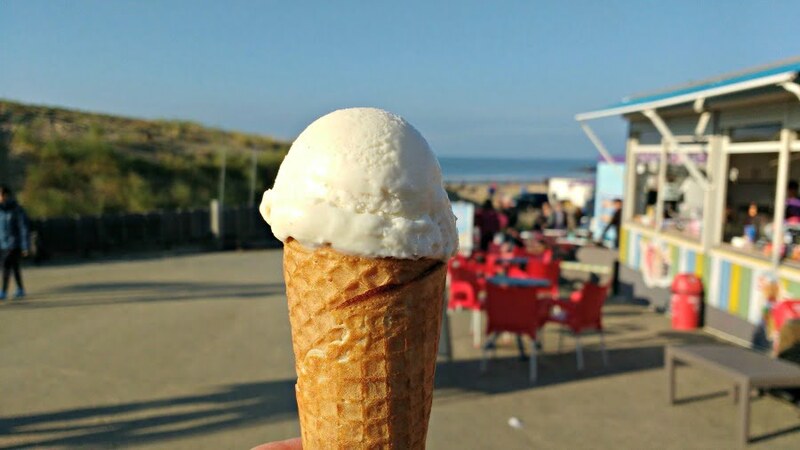 Luckily for Duinrell visitors, the holiday park is about a 5 minutes walk from one of the best ice cream shops in The Netherlands. Lucianos’s has won many awards for its home made ice cream and is a bit of an institution in this area. Toddlers will love visiting this ice cream parlour and trying all the flavours on offer. “The best zoo we’ve ever been to” was the way my friend described Rotterdam following her visit. Rotterdam Zoo is over 150 years old, and is so big that you can easily spend more than a day there. The zoo is laid out so you visit all the continents in the world and the animals which live there. There is also a massive Oceanium with a tunnel where sharks swim around you. Top Tip – Rotterdam Zoo is huge so make sure you take your pushchair for any toddlers who might get tired legs on the way round. 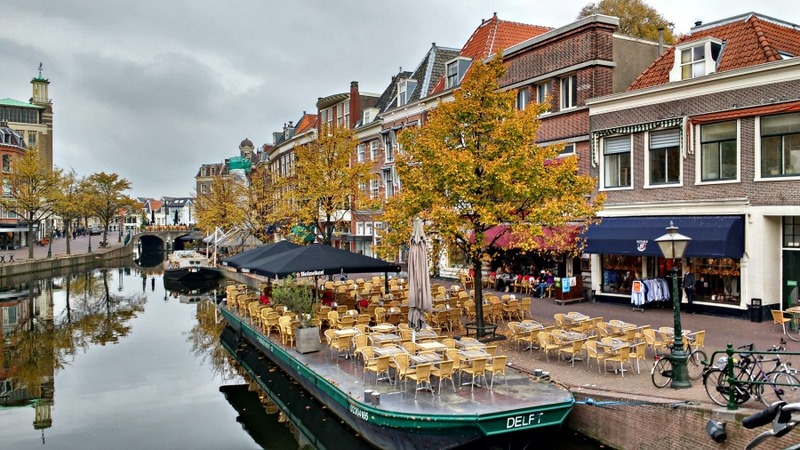 The town of Leiden is well worth a visit if you are staying at Duinrell. Leiden was the birthplace of Rembrandt, and is the home of The Netherlands’ oldest and most highly regarded university. The centre of this historic city is a myriad of canals lined by 17th century buildings, and is the perfect place to wander round and get lost. We took a guided canal boat tour around Leiden to find out more about the city – at just 1 hour long, it was the perfect length for a toddler. Note – there wasn’t a toilet on board so make sure you go before! 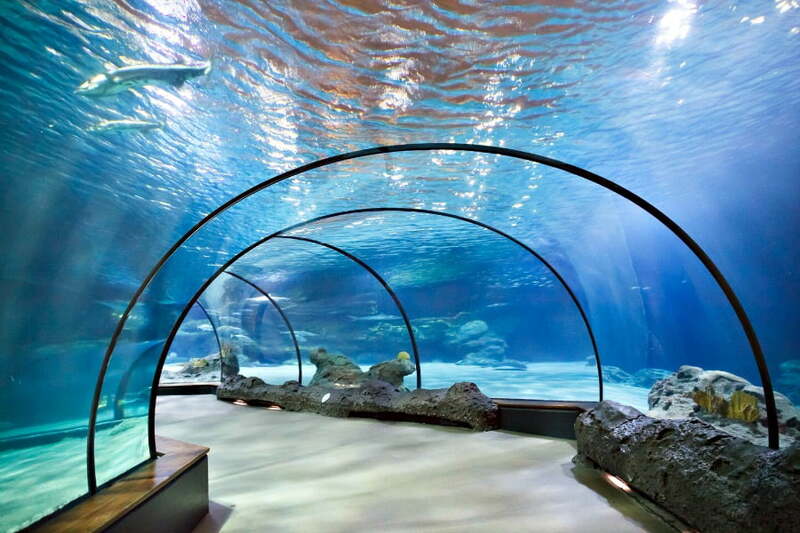 Perfect for a rainy morning or afternoon is a trip to the Sea Life Centre at Scheveningen, near The Hague. This Sea Life Centre is smaller than other ones you might have visited in the UK, but still has an impressive array of sea creatures including a sea horse display which toddlers will love. Top Tip – Buy your tickets online before you visit. If you are planning to visit Madurodam too, buy a combined Madurodam / Sea Life Centre ticket as it is cheaper. The skyline of The Hague glistens in the distance from the watch tower at Duinrell, and we felt compelled to explore it further when we were there. 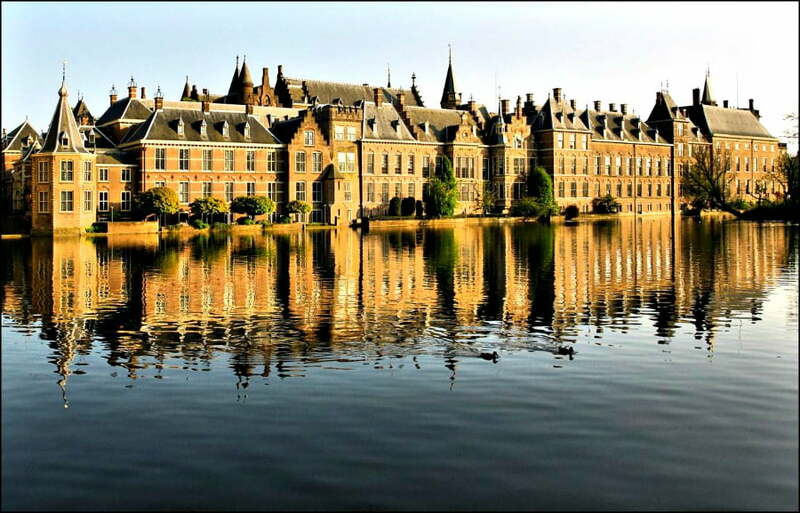 The Hague is The Netherlands’ 3rd largest city, and has a very modern feel as it was completely rebuilt after the war. There are lots of skyscrapers, shops, fancy hotels, and it is also the seat of the Dutch government and home of the royal family. There are plenty of parks for toddlers to have a run around in. Lovely Delft – another of my favourite places to go in The Netherlands. This medieval town is the home of the renowned painter Johannes Vermeer, as well as the famous Delft pottery. 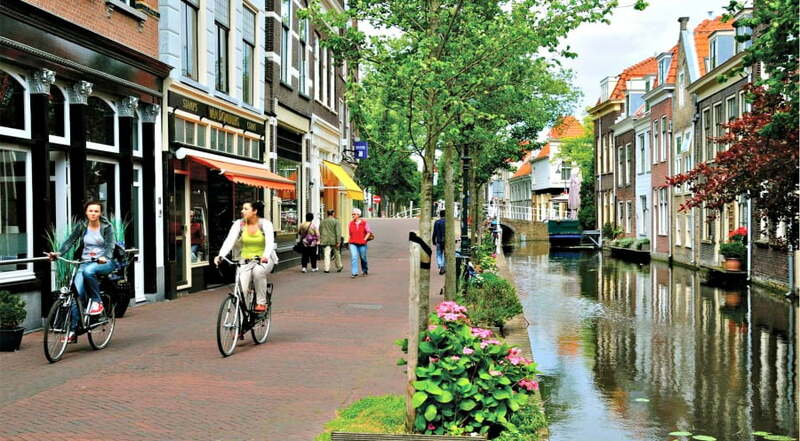 It is smaller than Leiden, but has plenty of impressive architecture, and of course, the canals. My toddler loved looking for ducks on the canals and running over the bridges. The Netherlands is the home to famous cheeses like Gouda and Edam, and Duinrell is in a great position to visit both of these towns. At Gouda you can see the famous cheese market where the cheese was weighed and sold in the past. 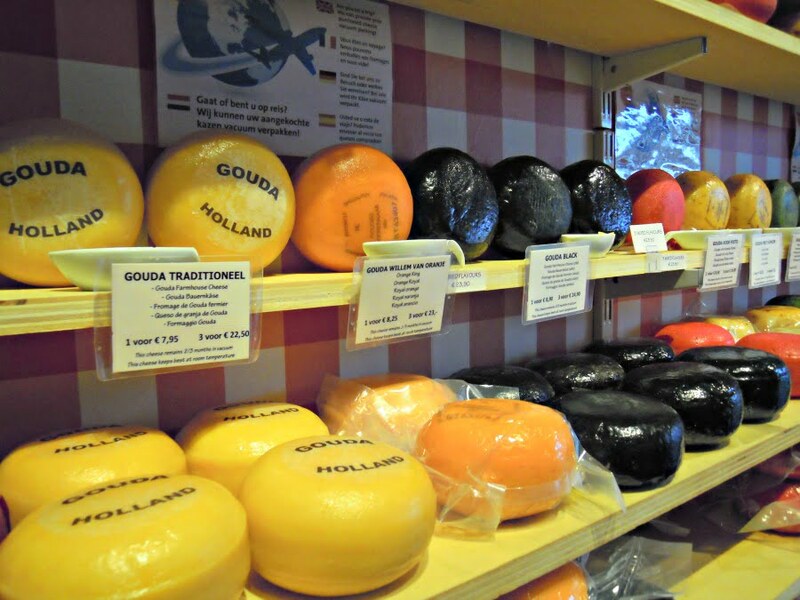 There are also plenty of cheese shops where you can buy some Gouda too! Budding Tim Peake’s will love a trip to the Noordijwick Space Expo which is near to Duinrell. 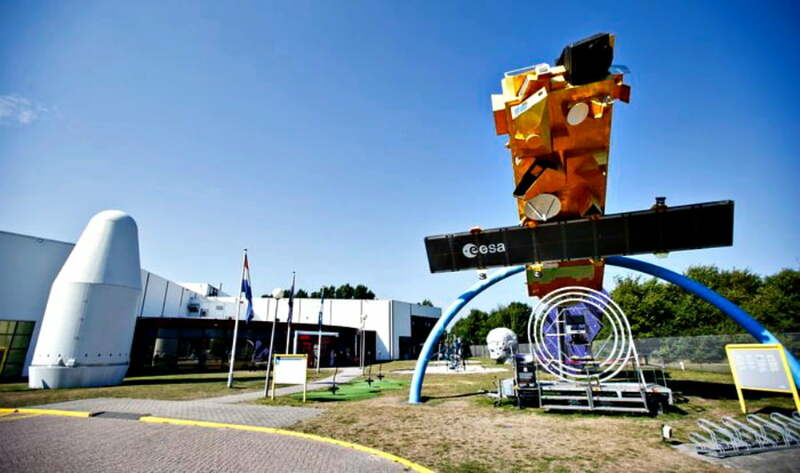 This is Europe’s permanent space exhibition and is the visitors centre for the European Space Centre in The Netherlands. Visitors can learn more about the life of an astronaut and what is was like for the first men on the moon. Toddlers and children under 4 are free. Another place to go for a day at the beach is Scheveningen. This is the beach resort just outside of The Hague and can be reached by a short tram ride from the city (toddlers will love the tram ride!). It is the most famous beach resorts in The Netherlands and has everything you would expect from a trip to the seaside including a ferris wheel, a wide sandy beach, sand dunes, shops, restaurants and of course The Sea Life Centre and Madurodam. Windmills are one of the first things you think about when you talk about The Netherlands. The windmills had a vital role in pumping water out of the low lying areas and back into the rivers so the areas could be farmed. There are a few places to see windmills near to Duinrell, and it is definitely worth spending some time learning more about these fascinating machines when you are there. Kinderdijk was my favourite place to see windmills. 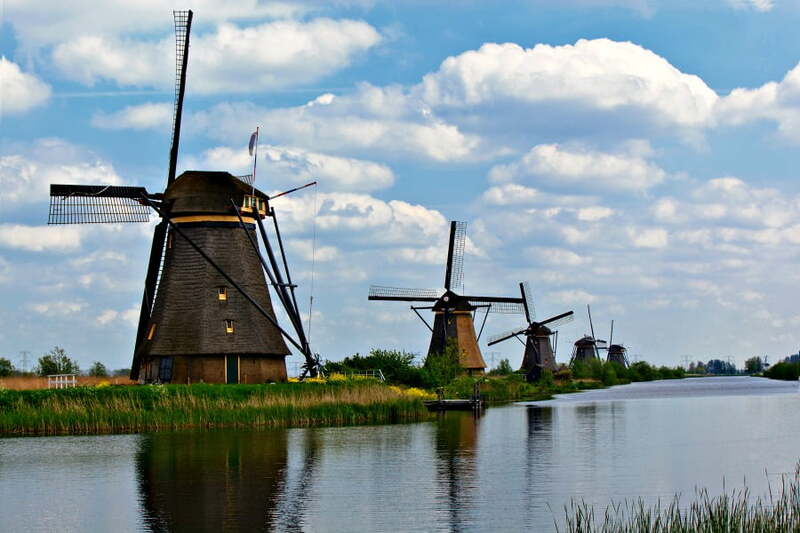 This World Heritage UNESCO site, close to Rotterdam, is the home of 19 windmills built in 1740. The windmills were built to keep the low lying lands of Albkasserwaard dry, and are in a magical setting in the wetlands. You can cycle around the windmills at Kinderdijk, and once you have got past the first few you tend to loose most of the crowds and can explore on your own. The other place we went to see some windmills in The Netherlands is at Zaanse Schans. This has a working collection of windmills– each one making a different thing such as sawmill, spices, oil and paint. You can pay a fee (aprox 4 Euros per person) to go into each windmill and see it in operation. Zaanse Schans also has a lot of traditional 19th century shops such as cheese shop, clog making factory and a weaving shed. Entry to Zaanse Schans is free but you have to pay to visit each of the windmills so the costs can mount up. Plus it is 7 Euros to park, and 50 cents to go to the toilet. There is an open air museum on site (payable extra). 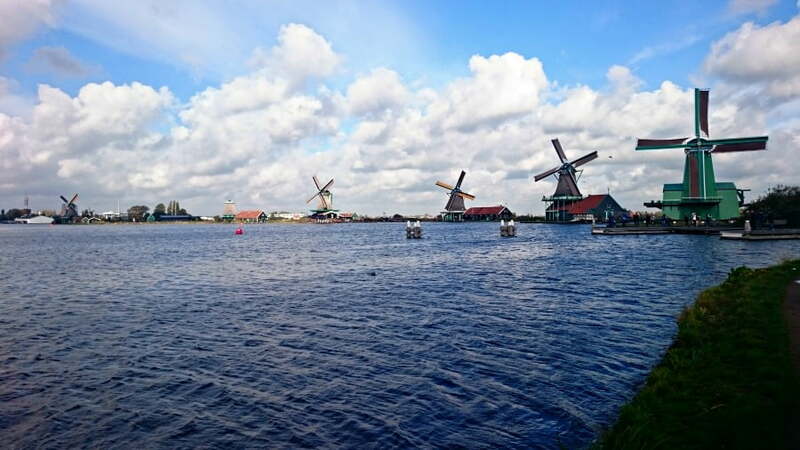 Top Tip – For lunch, take a 10 minute walk out of Zaanse Schans over the bridge to the little town of Zaandijk across the river. 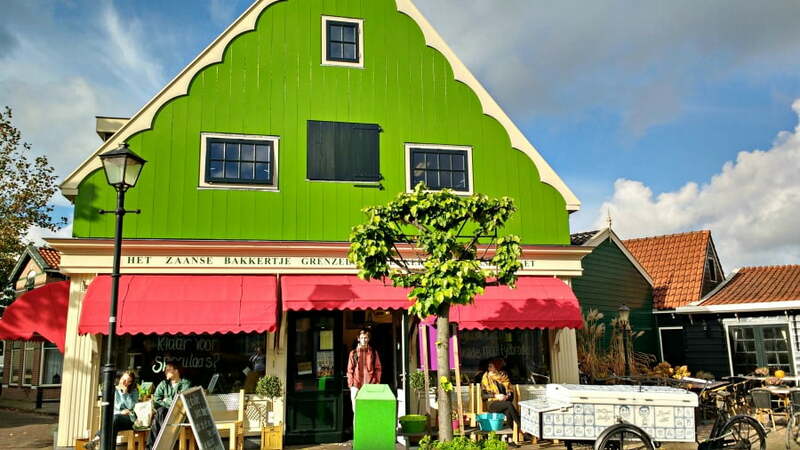 Look for a bakery called Het Zaanse Bakkertie where you can get the most amazing sandwiches, cakes and pastries at very reasonable prices. Highly recommended! This article will tell you more about the best Eurocamps for toddlers in case you would like a bit more inspiration. We went to Duinrell in the spring, and were so impressed. We only visited for the day but I agree it would make a fantastic base as well as being a destination in its own right. We loved our time at Duinrell. A few places that you mentioned we never got round to doing, so will add them to our list as we are definitely going to go back again. Hi we are here staying in Duinrell and love it. Just wanted to say thank you very much for your review of ‘things to do around Duinrell’. We are a family of five with , three children aged 7,5 and 2. We needed a place to go outside the park that everyone would enjoy, an easy and fun day. We visited Madurodam today and everybody loved it. Interesting and something for all my children, my 2 year old who is train mad loved all the mini trains whizzing around the place. If it hadn’t been for your review we might not have been tempted to go. We are off to the beach tomorrow and very much looking forward to an ice cream at Lucianos! Fantastic Chantelle! So pleased to hear that you are having a great time at Duinrell and enjoyed Madurodam. Thanks for taking the time to let me you found the article useful. Thank you for your holiday review. Nice info with a personal touch. I’m going this summer with kids so am going to find your stuff very helpful. Hi, great review! Can I just ask did you hire a car or rely on public transport?